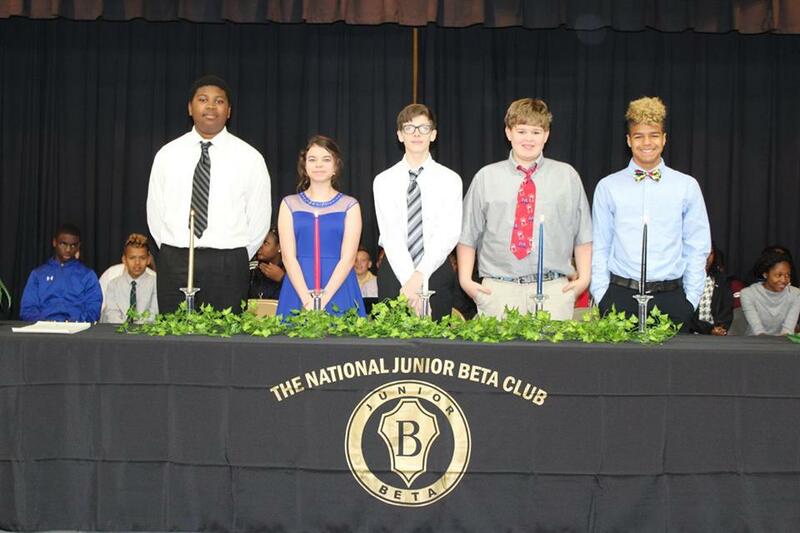 Mendenhall Jr. High School Beta Club Chapter held its Induction Ceremony December 11, 2017 in the Mendenhall Jr. High gym. 34 new members were inducted in grades 5-8 giving MJH a total of 67 active members. New officers were pinned in the ceremony by MJH sponsors.